I saw these “Hang With Me Earrings” in the mark. magalogue, and knew I had to have them. I’m already a fan of hoop earrings: they’re classy and extremely versatile, so I love this fun spin on the “simple gold hoop”. 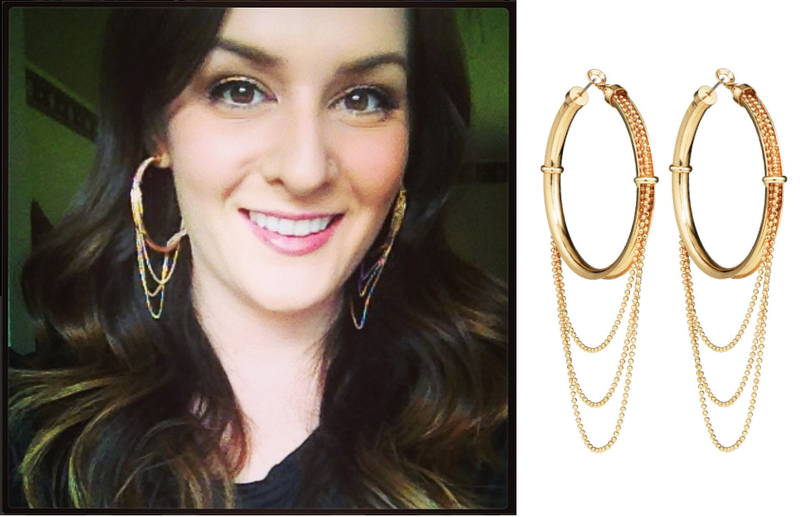 Cascading chains add a unique, bohemian vibe to these oversized gold hoops (diameter is around 5cm), and the nickel-free posts ensure your ears don’t get irritated after 5 minutes of wearing them. These Summer-ready earrings can be worn for work or play, and would look great paired with a high topknot or soft curls. You can purchase the earrings for $26.00 through your local Avon representative, or online here.